Turtle Run's most adorable beachfront home in the heart of Pass-a-Grille. Only steps away to your private path to the Gulf of Mexico. Unique 4 bedroom, 2 bath house located on a corner lot, in the most private area of Pass-a-Grille with an extra large 2 car garage. This Beach Get-a-way features a large Florida room with vaulted ceilings, original hardwood floors throughout the first floor. The master bedroom has a great view of the beach with a walk-in closet and a large balcony to sit and watch the sunsets. Relax in a nice size family room with a wood burning fireplace for those chilly Florida nights or outdoor on the cozy patio to gaze at the stars. The location is in a very exclusive area near The Historic Don Cesar Hotel and Beach Club which are only a short 2 blocks away. You can join the Beach club and have instant access to multiple swimming pools, top-rated restaurants, and shopping. 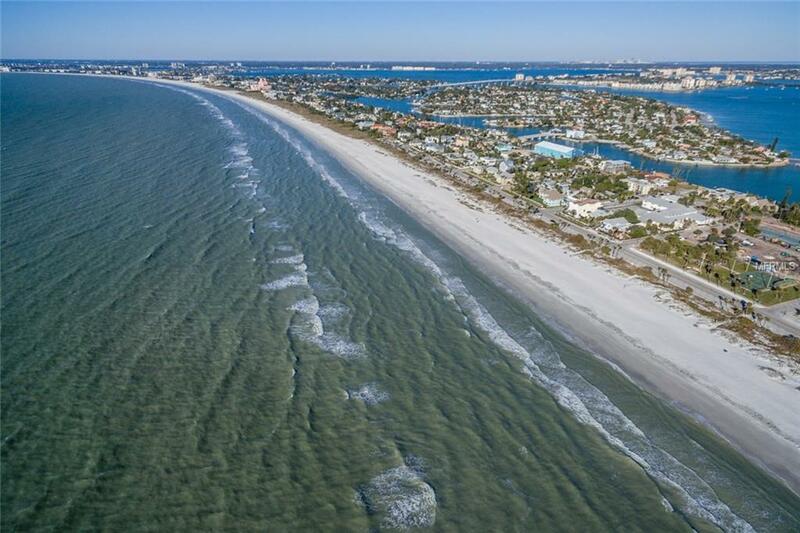 Take a short drive to the famous Fort De Soto Park (with 5 interconnected islands) Walk or take the golf cart to Historic Pass-a-Grille. A short drive to downtown St. Pete will show you the arts and some vibrant nightlife, along with great shopping and restaurants.